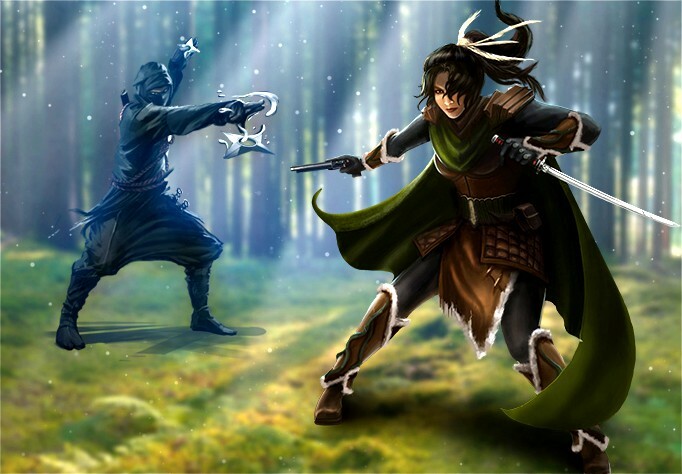 Steel Dragons is a new kind of scenario-based adventure board game for up to 12 players. In the game, the players explore broken lands, fight dangerous creatures, and overcome perilous challenges for the sake of fortune and honor. Depending on the scenario, the players must compete, cooperate, or secretly betray each other in order to win the game. Steel Dragons is set in a steampunk feudal Japanese world where airships traverse the haunted ruins of an ancient empire, mechanics grease the gears of the mighty machines, and mysterious shapers bend steel with the power of their minds. 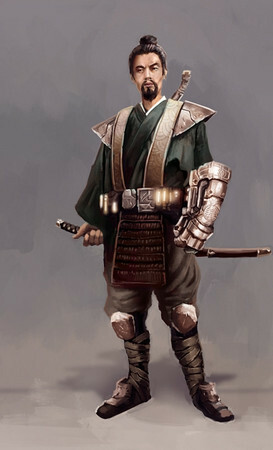 It’s a realm of samurai, ninja, and other legendary aspects of feudal Japan, but in a steam-driven world far different from our own. Though the game uses cards, dice-based combat, and figurines on a map, the initial release of the game will be 100% digital. The computer (in the form of your tablet or laptop) takes care of setup, clean-up, and record-keeping. Each player controls their character using a smart phone, with simultaneous moves keeping the game flowing quickly even with 12 players. 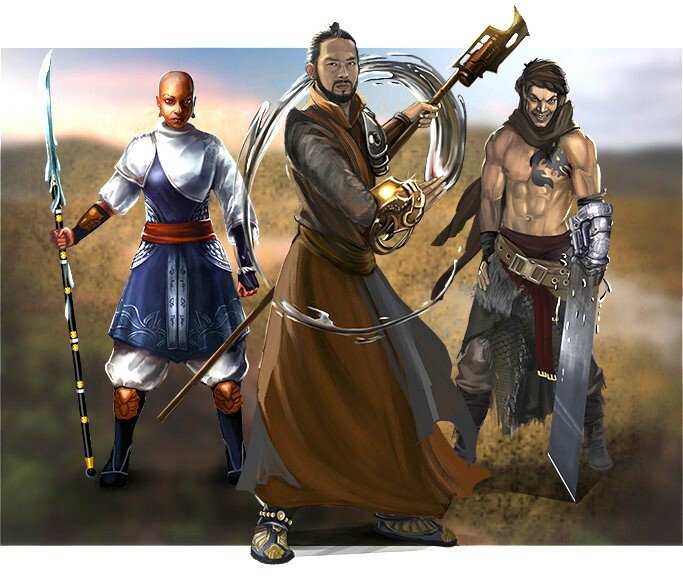 Steel Dragons is a Digital Tabletop Game. This means that while it’s played like a tabletop board game, there are no boards to set up, cards to shuffle, or dice to lose. In fact, there are no physical components at all! The computer or tablet takes care of it all. You don’t have to spend time on setup, lose time on bookkeeping, or worry about cleaning up and sorting all the countless cardboard bits when the game is over. Steel Dragons introduces a new technology for playing Digital Tabletop Games. Rather than use the typical and tedious “pass and play” techniques of other games, it empowers players to link their own wireless devices (smartphones, tablets, or laptops) to the game and use them to control their heroes. Your friends have nothing to install: Just install one copy of the app and have your friends follow a short browser link on their devices. You don’t have to hassle with synchronizing app versions or making all your friends buy the app to play with you. 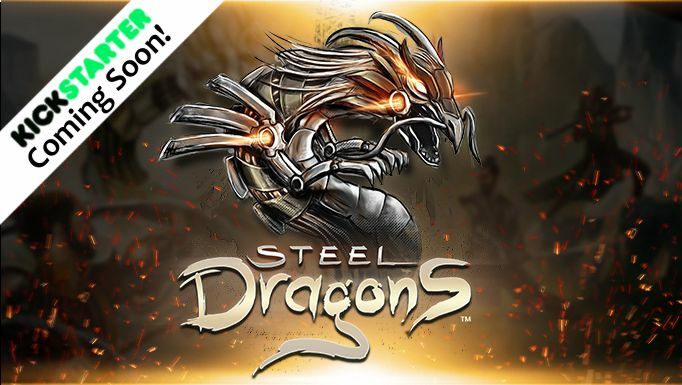 Steel Dragons has all the benefits of traditional multi-player without making your friends buy copies of the game – plus an extra screen that displays shared information (the “board” for the board game). And we designed the game around this novel interface, adding simultaneous turns. As a result we can support many players at once and still have the game progress quickly. The game is designed around modular scenarios. As a digital game, it can automatically modify each scenario based on the number of players, how many times you’ve played it, and other factors. Each scenario has random elements that depend on the cards drawn and rolls of the dice, and you can play each scenario with different combinations of heroes, so you’re virtually guaranteed a unique experience. And once you’ve conquered one scenario, there are plenty more left to challenge you. If Steel Dragons sounds exciting to you, be sure to sign up for our mailing list. We promise not to give away or sell your email address to anyone, and we’ll only use this address to let you know when the Steel Dragons Kickstarter has launched or other major updates. We’re using a very reputable mailing list manager, and you can unsubscribe at any time. Feel free to ask any questions in the comments, and thank you very much for reading!